VFX has become an integral part of the production process for film, television and advertising. On this course you’ll explore the VFX industry for moving image products while developing the skills required of a VFX artist across a range of disciplines. 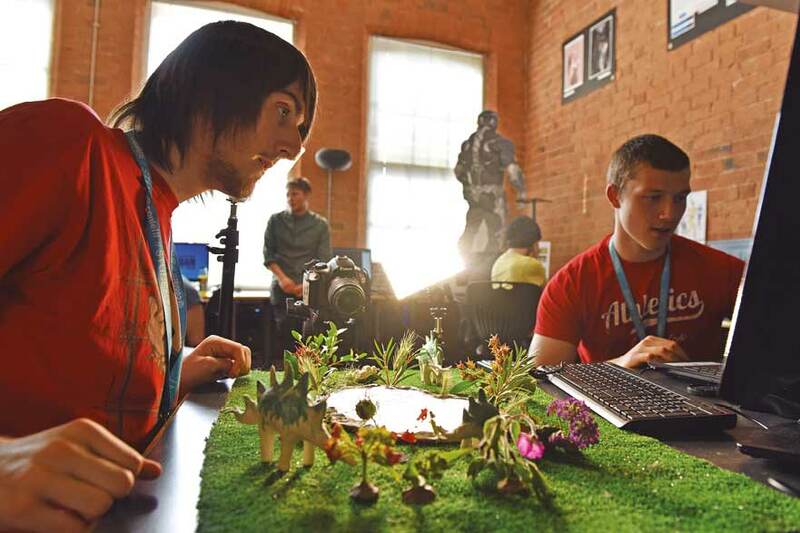 By the end of the course you’ll have developed a strong portfolio of work tailored to your career aspirations and will have trained in the use of a wide variety of industry-standard software, such as Nuke, Mari and ZBrush preparing you to enter the industry in a number of specialist and generalist roles. This degree explores the role of VFX and post-production in film and television and will enable you to develop the skills required for the creation of a wide range of dynamic and creative photo real content. You’ll have the opportunity to explore the different techniques and processes used by industry artists and will develop a diverse portfolio of VFX work across 2D and 3D disciplines. You’ll also develop the skills to design and implement workflows and pipelines for your own larger productions and more complex sequences. Alongside this, you’ll engage in a number of work-based opportunities and enrichment trips designed to further develop your understanding of both the industry’s expectations of graduate artists and how to improve your own employability in respects to your showreel and skill set. This module introduces you to the assets you’ll be working with in VFX productions. You’ll develop your skills operating a range of digital technologies in the acquisition of video and audio assets for VFX sequences. By understanding the mechanisms and technologies involved in image and data origination, you’ll develop an understanding of the relationship between principal photography and the VFX professional. This module introduces you to the main principles of creating 3D content and integrating created 3D content with another source (typically a digital film camera) and making it conform or fit into that environment. The module also introduces the important notion of the virtual camera, and how the 3D software camera needs to match and replicate the qualities of the physical or real film camera. This module develops your skills in compositing when working with 2D Graphics. You’ll be introduced to 2D image basics, including layering, masking, keying, and notions of colour space, project set-ups and flexible reusable templates. You’ll also spend time exploring the history of compositing and its roots. The module also examines different methods by which mattes can be created and how they might be manipulated and used in VFX compositing. This module examines the art of matte painting and the role of the environment technical director. With the advent of 3D CGI the matte painter’s job has increasingly moved away from creating 2D backdrops of landscape and cityscape to include working with geometry in what is often phrased as 2.5D. You’ll explore painting techniques and their role in creating environments whilst developing skills in photo real paint artistry. This module concentrates on the process of achieving an accurate camera solve or matched object geometry from plates shot with moving film cameras. You’ll explore the application of camera movement within an image and the difference between object tracking and camera tracking. You’ll develop skills in the creation of more realistic and professional VFX sequences as well as learning the important process of rig removal. In this module you’ll learn about making particle systems, structures, cloth, fluids and crowds move under the forces of physics. Within the VFX industry these are the jobs of an effects animator or effects technical director. You’ll learn to use VFX software to simulate complex behaviours and phenomena (fires, breaking glass, fluids etc.) and be able to understand and communicate using the language of Newtonian mechanics. This module allows you to explore the role of the rigger and the working relationship and interactions with animators and modellers. You’ll learn to design, create, test and maintain character, vehicle, cloth and prop setups working with animators and modellers to meet the technical needs of a project. You’ll also extend and advance your skills in modelling as the module complements and builds on your existing hard surface modelling skills with soft surface modelling aimed at creating organic forms to technical specifications. The visual effects industry is notoriously fast-paced with new hardware, techniques and workflows emerging every year. This module aims to give you an understanding and practical knowledge of some of the latest technologies and innovations associated with visual effects. The module also aims to look at the importance of research & development within the field of VFX and how the work carried out is shaping the visual effects and post-production industry. You’ll be given the opportunity to learn new technologies and combine these with your existing knowledge of visual effects techniques and processes to produce content which uses the basic principles of VFX in new and innovative ways. This module concentrates on the role of the lighting technical director in the visual effects pipeline and will give you a broad understanding of the various skills, software and technical processes required to match photo realistic computer generated imagery to live action plates and create realistic and accurate 3D renders. Alongside this you’ll explore the scientific and creative application of a variety of lighting conditions and associated phenomena as well as the practical skills required to deploy this knowledge in the creation of photo real shaders for use in 3D visual effects and animation content. 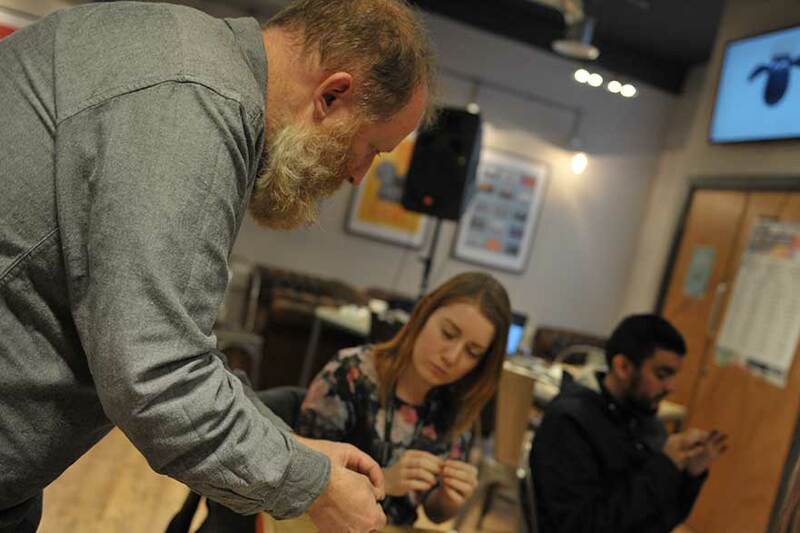 The aim of this module is for you to design and produce an innovative and ambitious visual effects project of your own design in which you’ll bring together the various techniques, processes and procedures you have explored across your time on the course. You’ll need to demonstrate flexibility, creativity and technical accuracy whilst working both independently and in collaboration with your peers and your production teams. You’ll develop critical and technological skills that allow you to realise your professional visual effects production. Alongside professional production skills, you’ll also extend your theoretical knowledge in new technologies and in the establishing of professional workflows in order to enhance your understanding of the visual effects pipeline and what is required for an efficient and successful production. Develop the technological disciplines involved in the production and post production visual effects content. Designed to prepare you for a career in the global VFX industry, this course focuses on developing the technological disciplines involved in the production and post-production of professional VFX content with a particular focus on software training and developing a working knowledge of key production workflows and pipelines. Employability will be an integral element of the course and you’ll receive training on the latest industry software (including Nuke, Maya, Mari and ZBrush) and specialised advanced studio hardware, combined with ample opportunities to undertake appropriate work-based learning and develop your professional showreel content. You’ll learn through lectures, seminars, software training workshops, tutorials, working in small production teams, independent learning, industry talks and enrichment trips. As well as lectures and seminars, you'll also get an insight into the industry through industry talks. You'll work in industry-standard facilities at Confetti's brand new Digital Media Hub.